Based on a decade of research, and on interviews with many of Mao’s close circle in China who have never talked before – and with virtually everyone outside China who had significant dealings with him – this is the most authoritative life of Mao ever written. It is full of startling revelations, exploding the myth of the Long March, and showing a completely unknown Mao: he was not driven by idealism or ideology; his intimate and intricate relationship with Stalin went back to the 1920s, ultimately bringing him to power; he welcomed Japanese occupation of much of China; and he schemed, poisoned and blackmailed to get his way. 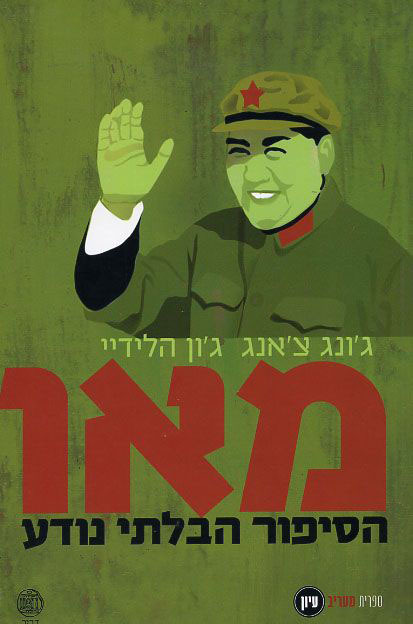 After Mao conquered China in 1949, his secret goal was to dominate the world. In chasing this dream he caused the deaths of 38 million people in the greatest famine in history. Combining meticulous history with the story-telling style of Wild Swans, this biography makes immediate Mao’s roller-coaster life, as he intrigued and fought every step of the way to force through his unpopular decisions. The reader enters the shadowy chambers of Mao’s court, and eavesdrops on the drama in its hidden recesses. Mao’s character and the enormity of his behaviour towards his wives, mistresses and children are unveiled for the first time. 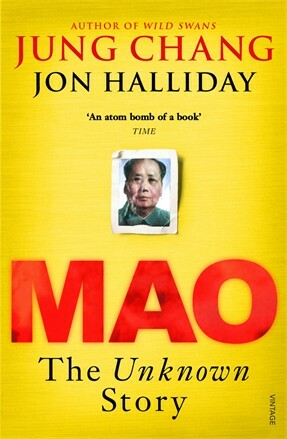 Mao: The Unknown Story is available in Hardback, Paperback, eBook; and Audio CD in abridged and unabridged versions. Buy the Chinese language edition here.